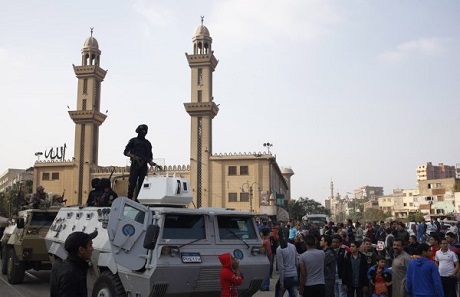 Protests underway on Friday with demands to preserve Egypt's "Islamic identity"
A man was killed on Friday amid clashes between police and protesters in Cairo's eastern Matariya district, a health ministry spokesperson told Ahram Online. Spokesman Hossam Abdel-Ghafar said the man, aged 42, died from gunshot wounds, adding that it is unclear whether the man was taking part in the protests or passing by. The ultraconservative Salafist Front called for mass protests on Friday to impose Islamic rule and preserve Egypt's "Islamic identity." Two army personnel died in drive-by shootings earlier on Friday.